Create more uses for your gymnasium. Turn your indoor space into a beautiful, safe indoor sports surface in minutes. Dollamur's Flexi-Roll® technology makes it easy for anyone to setup and take down your indoor turf. Is the weather not co-operating? Get in valuable off-season training time on a safe, predictable surface. GymTurf™ 365 can give you an edge over the competition by no longer restricting your practice due to weather. More importantly, this new indoor turf protects players with a non-abrasive, padded surface. 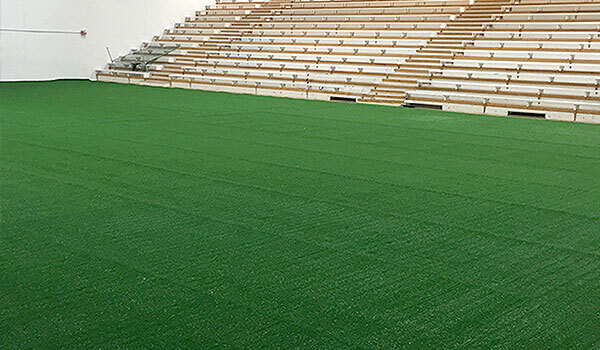 GymTurf™ is available in various sizes and features our FLEXI-Connect® built-in connection system. No additional materials are required. 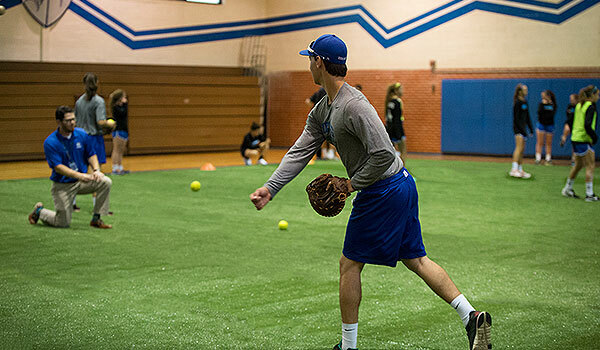 For practice and conditioning 365 days a year, GymTurf is the ONLY portable surface that protects players and provides quality practices for ANY SPORT, ANY TIME in ANY WEATHER. Get the TRACTION you need for any sport. The patented Flexi-Connect system ensures the turf will not separate between seams for a "No Slip - Just Grip" surface. Ideal surface for off-season or days when the weather restricts your ability to conduct a full speed practice. Offers an optional training space for Special teams. 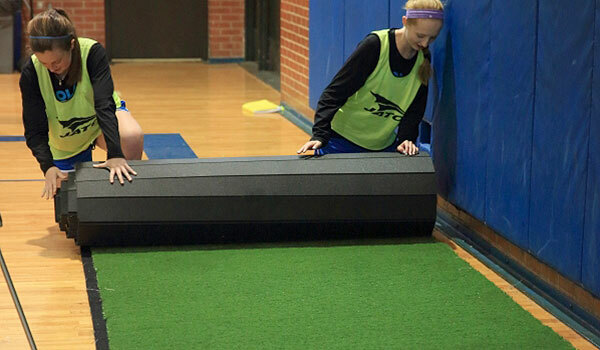 GymTurf meets or exceeds ASTM and International Soccer standards for artificial turf. FAST SETUP - Easy to roll-out and roll-up with the original FLEXI-Roll® design. An average 50’ x 75’ floor can be installed in just 30-minutes. Stores easily in an upright position. Portable and allows any indoor space to become a productive indoor practice facility. Requires no messy infill, so you don’t have to clean up those annoying black crumbs. Specially designed turf is player friendly and does not cause turf burns like other products. “True Bounce” cushioning which is superior to any other portable practice surface. Protects players against injury causing falls on hard surfaces and extreme weather conditions.